Ants Sound Recorder is designed to record audio streaming into audio files MP3, WAV, WMA, AAC. Then you may transfer the audio files to your iPhone or iPod with Apple iTunes software. You may also edit or play the audio files on your PC, and you may burn the audio files to CD Audio with a CD burner. With Ants Sound Recorder, users can record sound from a microphone, line-in devices (such as cassette tape player, LP player), and almost any Windows application, including Winamp, DVD Players, Real Player, Windows Media Player, Internet Explorer, FireFox and many more. Audio Sound Recorder is a professional and powerful audio recording tool. Audio Sound Recorder records audio streaming from any source like media players, the Internet web sites, microphone, applications, etc. Audio Sound Recorder supports recording to audio files MP3, WAV, WMA, OGG Vorbis directly without temporary files. Audio Sound Recorder also has a built-in audio converter, audio player, and mp3 id3 tag editor. It is free to try before buy, you can download a free trial version from , or see details from . Key Features of Audio Sound Recorder: * Record from any source * Record to MP3, WAV, WMA, OGG * Recording Files History List * Full Options * Audio Converter * ID3 Editor * Audio Player * Easy-to-use Interfaces System Requirements The Audio Sound Recorder needs the following system requirements. * Microsoft Windows Your computer must be installed one of Windows 98, Me, NT, 2000, XP * Sound Card Your computer must be installed a sound card correctly. If there is no sound card installed correctly, the software can not capture audio streaming. * CPU & RAM Intel Pentium Class CPU and at least 64 MB RAM are needed. * Free Space At least 100 MB free space is needed on the drive that you will install this software. Record Online Music with ZERO Quality Loss to Enjoy Anywhere Record Audio from 500+ Music Streaming Websites – 500+ Music sites and Radio Stations are supported – One click continuously record playing music or music videos – Automatically split tracks and separate audio files – Miraculously eliminate ads between audio tacks Record Online Video Streaming iSkysoft Audio Recorder is specially designed as an online video recorder for Windows 10 , Windows 8, Windows 7, Windows XP and Vista that allows you to record audio from YouTube, Hulu, Dailymotion, Metacafe, Vimeo and millions of video sites. Whenever you watch a YouTube music video, just hit the Record button to download YouTube to MP3 or M4A audio in high quality. Record High Quality MP3 Music – Record music to MP3 (MP3 encoder) or M4A (AAC encoder). – Customize audio quality in MP3 from low to high quality. ID3 Tags Support – Identify tags, album, artist and other information and fill it for you. – Manually edit ID3 tag if it comes with any mistake. Directly Record Music to iTunes – Music Playback Its built-in music player allows you to play the recorded music and your desktop music easily. – Music Management Delete or add songs from and to this audio recorder for Windows. Export or organize recorded audio files. Record unlimited free music from YouTube, Pandora, Grooveshark, Napster, Rhapsody, Spotify, GUBA, Last.fm, BBC Radio Audio, iTunes Radio, NPC, MySpace, Yahoo Music, RTVE, Sirius Radio, Radio Blog Club, XM Radio Online, AOL Music, and more in just one click. Also easily burn recorded music to CD. Fully support the new Mac OS X 10.11 EL Capitan, Yosemite, Mavericks, etc. iSkysoft Audio Recorder for Mac makes it easier than ever to record music on your Mac. Whether you?re watching a YouTube music video or listening to a radio program, just click the Record button to capture audio and save to high quality MP3 or M4A files. Identify the recorded music files quickly and get music information automatically. ID3 tags like Title, Artist, Album and Genre will be recognized. iSkysoft Audio Recorder for Mac comes with a built-in media player that enables you to play and check the audio quality once recorded. You can even organize or delete any recorded audio files with this smart recorder. Leapic Audio Editor is a all-in-one audio editor, converter, recorder, player, splitter and joiner. A full set of effects and editing features are included for professional sound production. When editing audio files you can copy, cut, paste and mix any portion of audio files. If required, you may add effects like Amplify, Fade In, Fade Out, Delay, Reverse, Noise Reduction, etc. MP3, WMA, WAV, OGG, VOX, RAW and many more audio formats are all supported for direct audio editing. Apply different filters (Brand Pass Filter, High Pass Filter, Low Pass Filter, High Shelf Filter, Low Shelf Filter, Notch Filter, FFT Filter) to any selected portion of audio files. Apply various effects (Amplify, Compressor, Delay, Equalize, Invert, Normalize, Phaser, Reverb, Reverse, Fade In, Fade Out, Flanger, Silence, Shrink, Stretch, Vibrato, and more). Play audio files or any portion of the files (Play, Pause, Continue, Stop, Play loop). Complete, multi-level undo and redo capabilities. Save any portion of a audio file to disk as a new file). Record audio from a microphone or any other available input device and save to WAV, MP3, WMA, OGG, VOX, RAW, etc. files. Display audio data waveform (Zoom Full, Zoom In, Zoom Out, Zoom Vertical). Open CD tracks for editing and format conversion. Leapic Audio Cutter is a very useful tool. It is able to Not Only cut out pieces of MP3, WMA, OGG or WAV file, But Also convert audio file between WMA, MP3, OGG and WAV formats. It is fast and no sound quality loss. You just need to open the audio file, set the start point and the end point then click the Cut button to save the selection. Leapic Audio Cutter allows you to play the selection with build-in audio player before performing cutting. 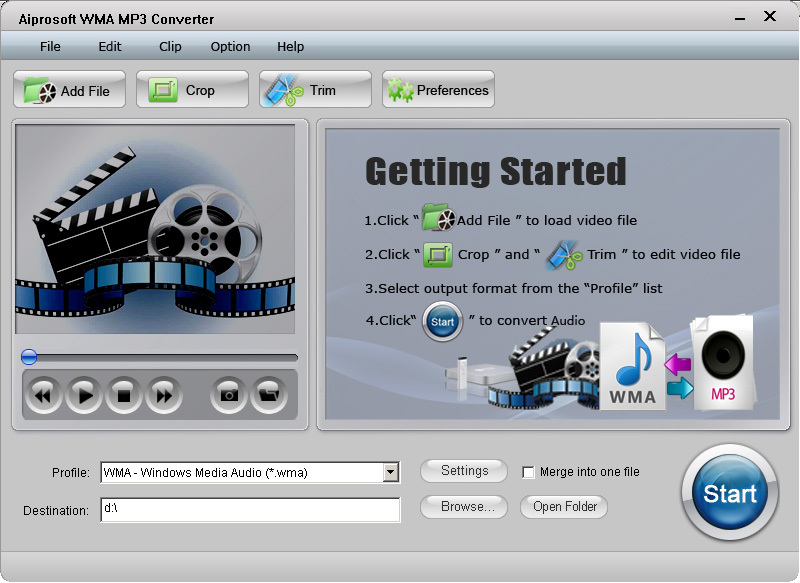 Aiprosoft WMA MP3 Converter is an excellent audio to WMA MP3 Converter which helps you to convert all popular audio files (including MP3, MP2, AAC, AC3, WAV, WMA, M4A, RM, RAM, OGG, AU, AIF, AIFF, FLAC) to MP3, WMA, AAC, AC3, M4A with friendly interface and lots of useful conversion features, such as convert wma to mp3, convert mp3 to wma. 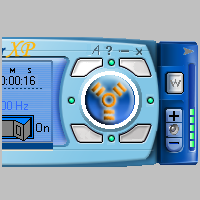 This professional Aiprosoft WMA MP3 Converter is also a perfect Audio Extractor, which can extract audio from video files such as: MPG, MPEG, MPEG2, MOV, QT, MP4, M4V, WMV, ASF, MKV, TS, DIVX, XVID,VOB, AVI, 3GP, 3G2, FLV, MPV, etc with super fast conversion speed and lossless sound quality. December 14, 2014 Audio, Software, Streaming AudioGilisoft International LLC. 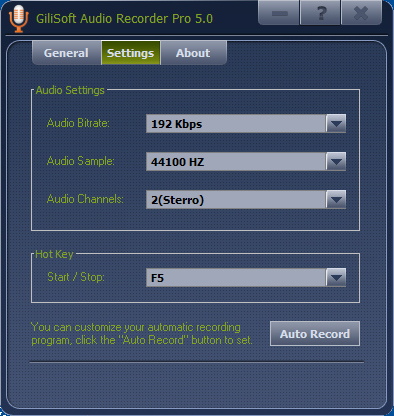 GiliSoft Audio Recorder Pro is a perfect audio recorder to record computer sounds and microphone to AAC, AC3, AIFF, AMR, AU, FLAC, M4A, M4B, M4R, MKA, MP2, MP3, OGG, RA, VOC, WAV or WMA files on Windows 7/8. Recording the sound that goes through your audio card isn?t at all a difficult task, but GiliSoft Audio Recorder Pro promises to make everything a lot easier, even for those with no advanced computer knowledge. Sounds can be saved in AAC, AC3, AIFF, AMR, AU, FLAC, M4A, M4B, M4R, MKA, MP2, MP3, OGG, RA, VOC, WAV or WMA format. Supports auto pause recording when there is no sound.